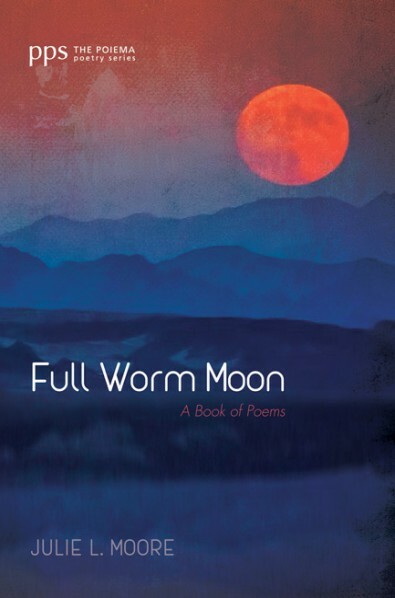 My book, Full Worm Moon: A Book of Poems was published by Cascade Books in its Poiema Poetry Series in March of 2018. My book includes five poems nominated for the Pushcart Prize. More information about my collection, including how to order a copy, is below and on my Books page. For those of you unfamiliar with my background, I am a writer who grew up in Moorestown, New Jersey, and transformed from Jersey Girl to Heartland Lover when I came to college in rural, southwestern Ohio, in the early 1980s. I earned my B.A. in English, then my M.A. in English at the University of Dayton in Dayton, Ohio. I subsequently taught for ten years at our nation’s oldest historical black liberal arts college, Wilberforce University. I then returned to my alma mater, Cedarville University, where I taught for 18 years. I now direct the writing center at Taylor University in Upland, Indiana. I spent my childhood years filling spiral notebooks with poetry and stories. Despite feeling “called” to write, I became sidetracked by the world of academia and a genuine enjoyment for—as well as the work load required by—teaching. In my mid-thirties, however, I realized I might die without ever fulfilling my dream of writing a book. Panic-driven and poetry-inspired, I began to read every contemporary poet I could get my hands on. And I kept reading. In 2005, I also participated in the Antioch Writers’ Workshop (AWW), which greatly expanded my creative thinking and writing skills. I’ve also participated in Image Journal‘s Glen Workshop the last few summers, always an enriching experience for me. I consider every writer I read a mentor and the hours spent reading my life-long education (with no graduation in sight!). I’ve taught poetry at the Antioch Writers’ Workshop and at local arts centers; done readings at universities, literary festivals, bookstores, libraries, and cafés; and visited college and high school classes to share my work and teach lessons. So if you’re interested in having me do a reading or teach a workshop/class at your conference, school, bookstore, café, arts centre, writers’ workshop, or other venue, just click the link above.